Match preview, predictions, venue, team news, TV guide, lineups and more. 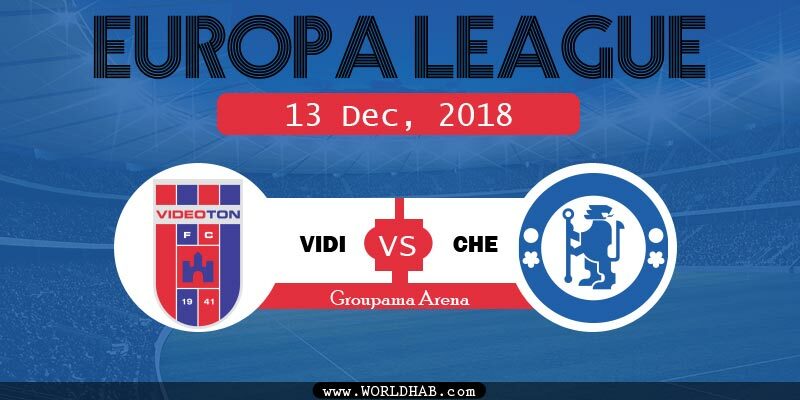 Vidi vs Chelsea Live Stream, Starting XI: At Groupama Arena, Vidi FC and Chelsea will meet each other on Thursday, 13 December 2018. The game set to start kick-off at 17:55 GMT. This match will be an important one for the Hungarian side, who have won two and lost three of five in the group stage. Also, they are in the third position on six points in the league table, Group L.
This is the last matchday of the UEFA Europa League 2018-19 group stage. The Blues tops with 15 points and they have already qualified for the Europa League 2018-19 round of 32. Why today’s match is important for Vidi FC? If Vidi has to defeat Chelsea, they will get the chance to qualify for the knockout stages. Also, they have to monitor the scoreline of the PAOK vs BATE match, today. Today’s match is their second meeting. In the last encounter, Chelsea defeated Vidi FC at Stamford Bridge. In the Last 5 matches on all competitions: Chelsea have lost two games and won three. Vidi have lost three against BATE Borisov (2 times) and Chelsea. Magnesium Supplements: Why Are They Monumental To Your Health?